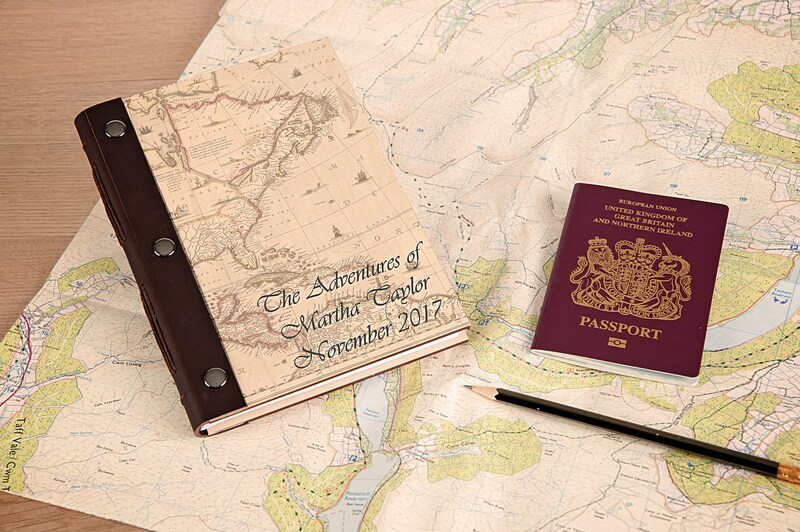 Our personalised travel keepsake is perfect to take on that once-in-a-lifetime travel adventure. 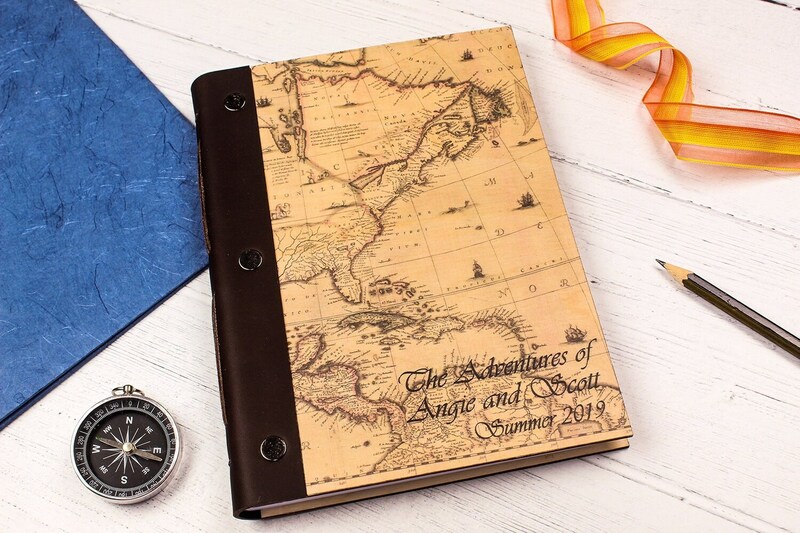 Use it as a photo album, to plan itineraries, to jot down diary entries or to stick in momentos and memories from your trip! 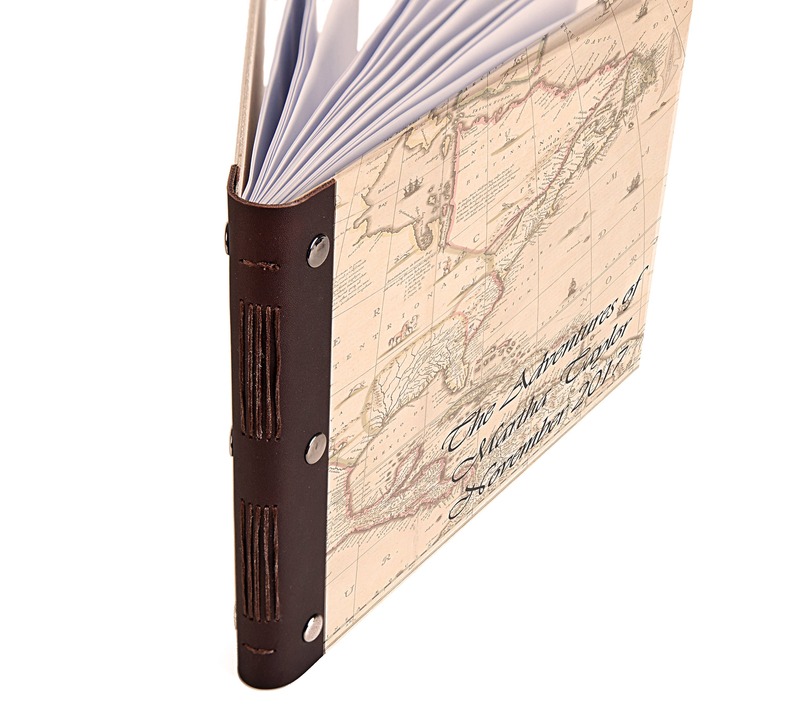 Whatever your adventure, this Travel Journal is the perfect gift. The cover is printed with a vintage map. It can be personalised with names and dates. - Produced using ethically sourced birch wood. 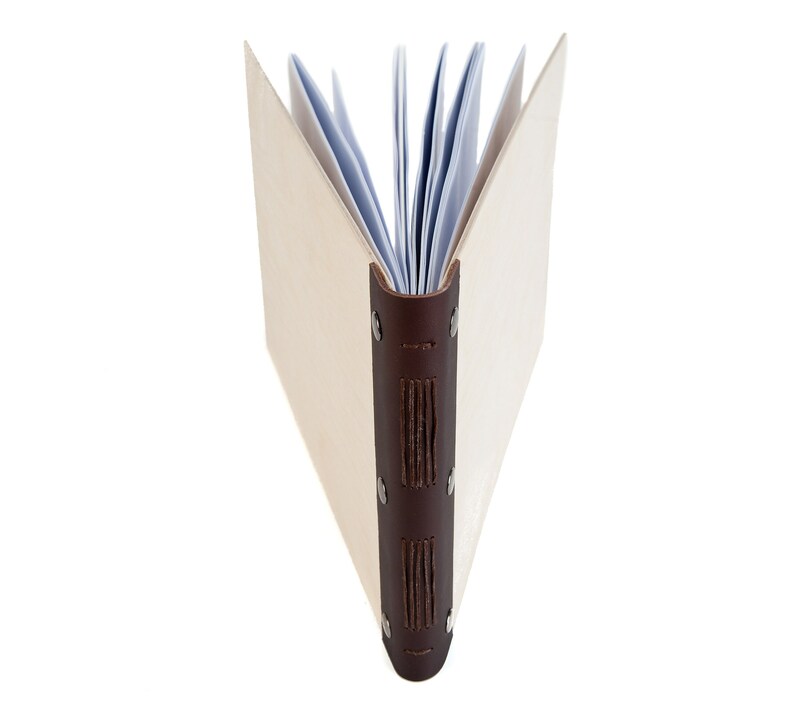 - Bound and finished using high-quality, locally sourced materials (where possible). "Enjoy the little things in life. One day you'll look back and realise they were the big things." We believe in making beautiful handmade products in the UK, that will last a lifetime and are worthy of the special memories and moments they contain. Our designs are 100% original and our products are sustainably made. They are created by a small friendly team, aiming to use eco-friendly products where possible. We pride ourselves on providing creative and unique solutions for our customers, producing top-quality items to keep for ever. All Chicken Pink's personalised gifts are made to order. The sky's the limit in terms of personalisation! If you would like anything specific designed especially for you, or just simply changing fonts/colours etc., please don't hesitate to contact us. 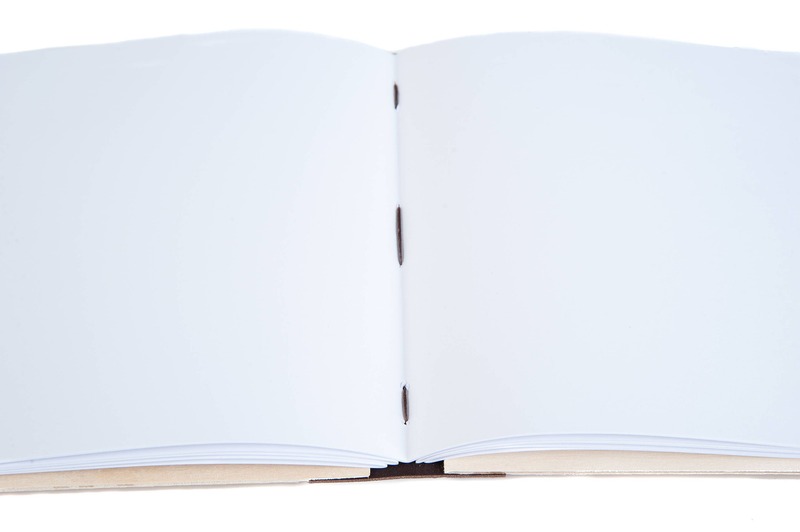 Wood is a natural product and your beautiful book may vary slightly from the one pictured. Each book is unique and has its very own character! To fulfil your order, you must provide me with certain information (which you authorised Etsy to provide to me), such as your name, email address, postal address, payment information, and the details of the product that you’re ordering. You may also choose to provide me with additional personal information (for a custom order, for example), if you contact me directly. Delighted to receive the journal so speedily. 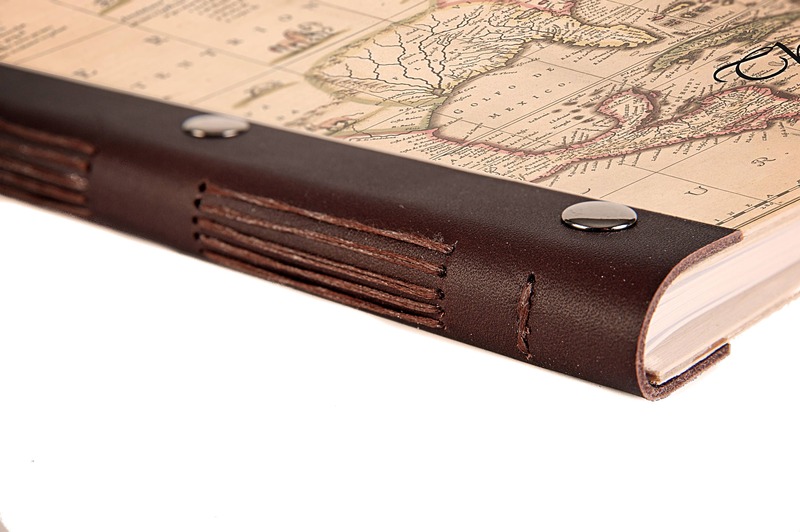 It looks fab and will certainly be durable for a travel journal. This book will be the third book I've bought from chicken pink, they are such beautiful and well made gifts. I'd looked at other travel journals but as it was for my son I wanted to be more personalized from "me" , unique. I love the fact that they made locally, here in Devon where I am also from. The service was fabulous , I'm a bit of a last minute gift buyer, but they were great and had the book with me in time! Thanks again! 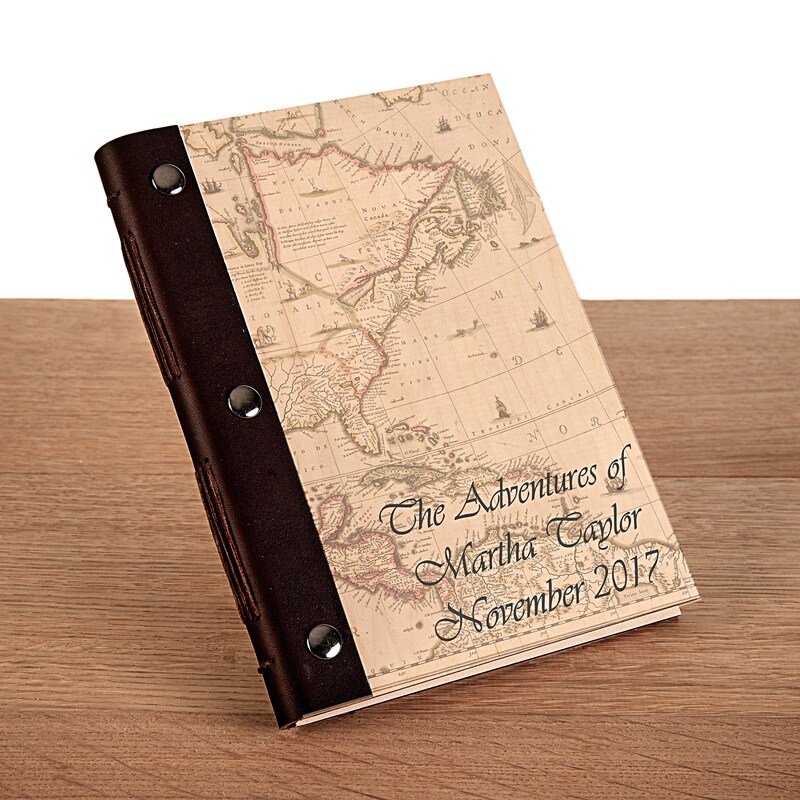 I'd seen these travel journals while ordering a wedding book for a friend so when my children were going away on holiday with their father I thought it was a great idea for them to take with them. They've since come home having filled them with all their memories and leaflets and spent ages sticking in bits and bobs. They loved a little " map " envelope that's inside. It was great to be able to choose the wording on the front and inside so it could be individual to both of my children, one a great adventurer and the other a little more nervous about things, it was lovely for them to be personalized. 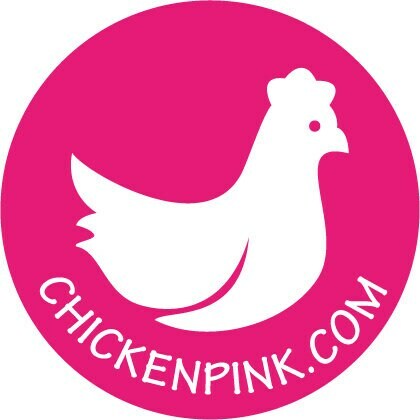 Chicken pink was very helpful and gave suggestions and ideas for the layout then sent me an email to confirm it was everything I wanted. It was a really quick service and I had it back within a few days. Thank you.